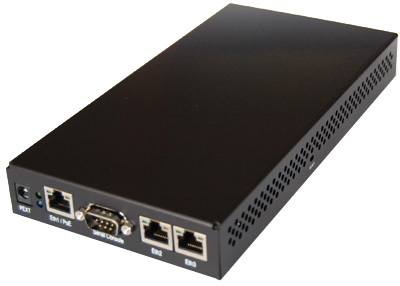 This assembled Mikrotik Routerboard 133 comes complete with case and power supply and makes a fantastic low cost hotspot route and controller. Fully managed with SPI firewall and vpn support. All ethernet ports are fully independent and support 802.1q vlans, and advanced routing protocols including RIPv2 and OSPF. Management from GUI or CLI with access through web, telnet, or ssh. This powerful Linux based device makes an excellent low cost hotspot access point and controller combo. The RB/133 is capable of routing 8028 pps (1500 byte packets with conntrack off). Includes a switching DC power supply. Can also be powered on eth1 by passive POE from 16 to 28 vdc (midspan device - power on unused pairs). EOL (End of Life) We have a limited quantity of these for sale.